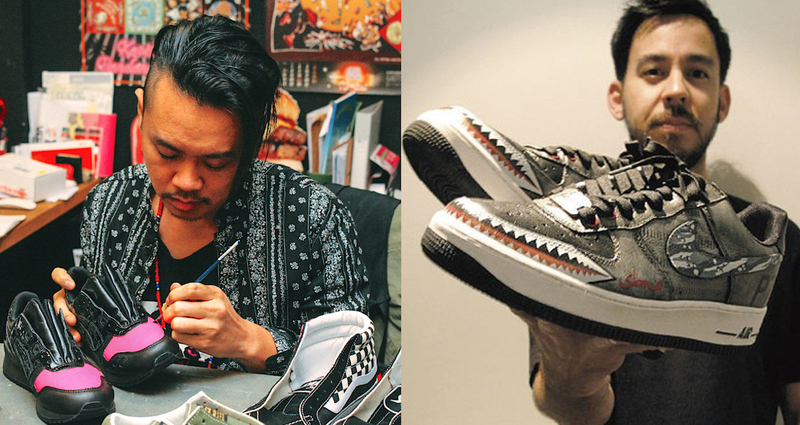 Mark Ong has been doodling and painting on sneakers for about 15 years, and it’s now his full-time career. Working under the moniker Mr Sabotage, Mark is dubbed Singapore’s OG sneaker artist. Customising sneakers had always been a mere hobby for him, until he won an international competition on Nike Talk Forum in 2003 — that was when he realised that he could build a viable career out of it. 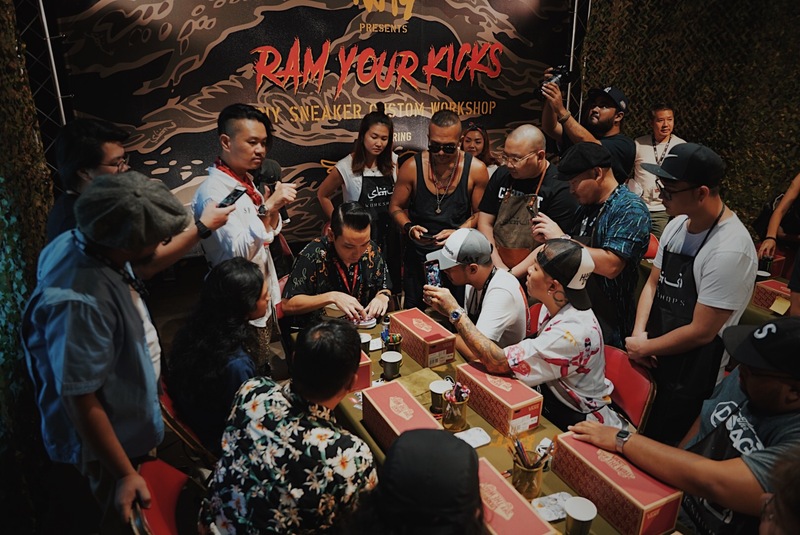 The win marked the start of his own label SBTG (short for Sabotage), as he received a massive order of 72 customised pairs from Atmos, a sneaker store from Japan. “I was in business ever since,” said the 38-year-old. The visual communication graduate from Temasek Polytechnic said that back in school, he had created an experimental brand identity under the name Sabotage — which he felt was an apt name for a teenager with a rebellious streak. The name stuck with him, and he has since coined it as his moniker. SBTG’s range has since expanded to include other apparel and small leather goods, but it’s sneakers that Mark is still best known for. He essentially buys sneakers, customises their designs, and then sells them to sneaker fans worldwide. According to him, the start-up cost was “close to zero” as SBTG is a made-to-order business with minimal inventory. They also didn’t have any overheads back then, so the business has been profitable since day one. Moreover, customers usually make advance payments in full, which helps to support cashflow and fund his business. Unlike most entrepreneurs, the startup journey for him was rather smooth and wasn’t particularly fraught with difficulties. In fact, Mark has never had to pitch for a single project since he started out. His only main challenge was managing the expectations of clients, but he considers that as part and parcel of his job. Fast forward to today, SBTG has grown into a cult favourite among the international sneaker community. 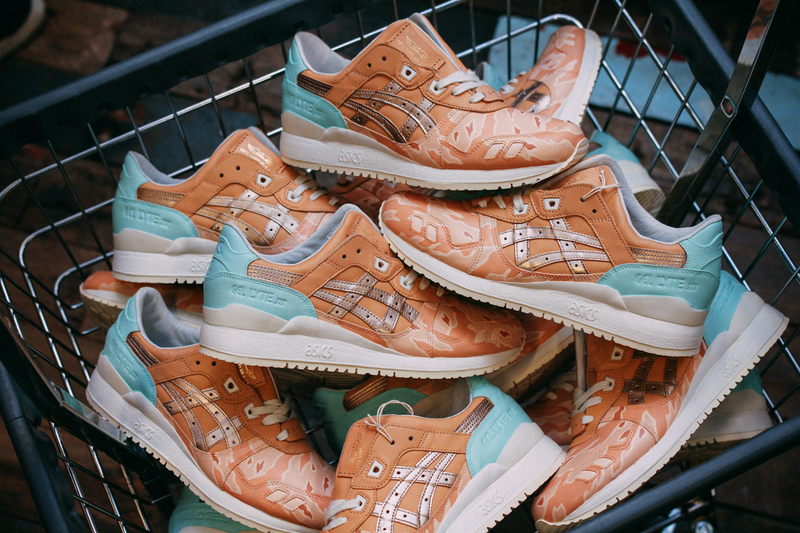 The local artist is well-known for his military-inspired designs and intricate work on iconic sneakers such as the Nike Air Force 1, Air Huarache, and many more. His hand-painted camouflage designs are to sneakerheads what Louis Vuitton’s signature monogram is to fashionistas. Beyond military motifs, Mark said that he draws his inspiration from old-school punk music, as well as skateboarding and other sub-cultures. “We have a certain aesthetic so we operate more like a brand than a hobbyist. Having an original style is important so we adopted a signature look which people come to us for,” he said in a separate interview with The Business Times. As Mark developed a “very guerrilla and DIY” aesthetic for SBTG over the years, he makes it a point to only release designs that they consider classics. So far, SBTG has collaborated with sneaker companies like Nike, Reebok, Asics and Puma, and even non-footwear brands like Casio, G-Shock and Johnnie Walker have released limited edition SBTG-designed products. Beyond designing sneakers and apparels, SBTG also hosts design workshops for sneaker fans. Since inception, SBTG has designed and sold over 5,000 sneakers, with an average of 50 orders every month. It’s not a very significant number, but Mark said that he intends to keep it that way as he does not strive to be a mass-market brand. “We’re not trying to sell a lot — we’re trying to sell cult classics,” he told Lifestyle Asia. Every SBTG product has a story. If we start mass producing, that takes away the exclusivity. I don’t want to turn this into a factory. He added that the cost of SBTG shoes ranges from US$150 to US$1,000; and a pair takes 2 to 8 hours to complete, depending on the complexity. 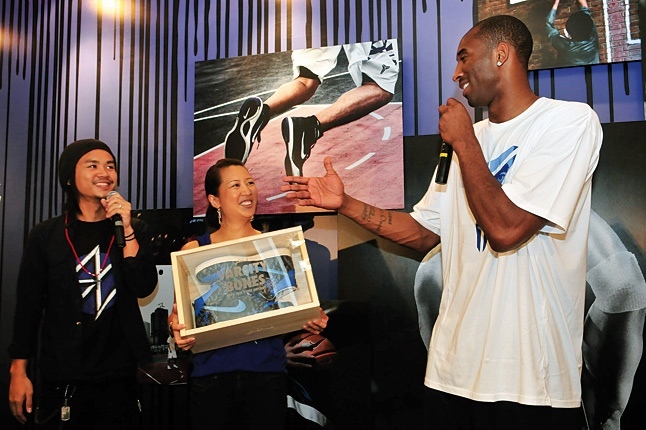 About 95 per cent of their clientele is based in the US, and he counts celebrities like American band Linkin Park’s frontman Mike Shinoda, and basketball star Kobe Bryant, as his customers. Over the years, Mark has grown SBTG from a one-man show to a full-fledged design and production house. It currently operates out of a 800-square feet studio in a flatted factory at Commonwealth Drive with a very lean team of three members, including himself. His wife — who co-owns the company — acts as a director and finance manager, while her assistant serves as the production specialist. Mark said that he does not paint as much now as he has handed most of the production over to the two ladies, but he still remains the creative force behind SBTG. He sets the design direction, and attends to sales matters and everything creative. Nonetheless, he still makes it a point to “get [his] hands dirty” everyday, be it to paint a shoe or print a piece of garment. With the widespread popularity and global appeal of SBTG, Mark considers it to be an international brand rather than a Singaporean company. Right now, his key focus is to scale the business and he is even toying with the idea of branching into setting up a café. Looking back on his success so far, Mark attributes it to sheer hard work and passion, and emphasises that “there are no shortcuts”. Even failure should be seen as a stepping stone to success, so entrepreneurs should “never be afraid to fail”, he said. 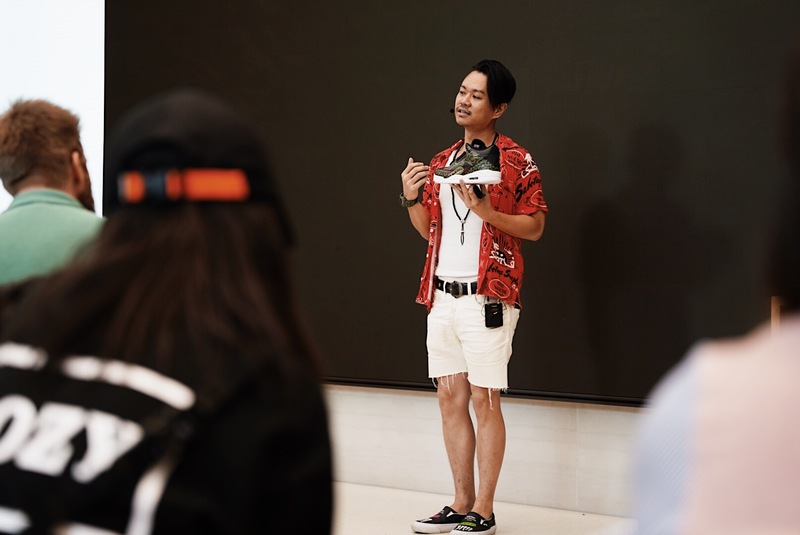 While Mark is a shining example that passion pays, he stressed that painting sneakers as a hobby versus running it as a business are two totally different things. If you treat your business as a mere hobby, your business will never last, he advised.